Nice is a city that likes to organize performances right in the middle of the street. 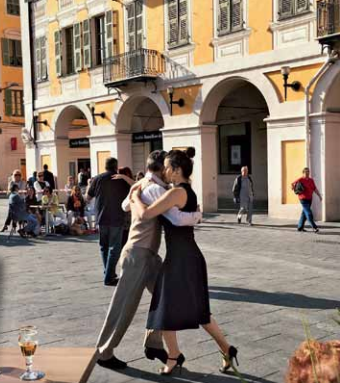 There go a couple artfully dancing the tango in front of the café tables in Place Garibaldi. a little later, the musicians arrive to perform your favorite songs, and at some point you’ll even find yourself singing along with them. To allow the atmosphere to wash through you, head over to Rue cassini, which is something like the Parisian district of le marais, full of trendy bars and conceptual designer spaces. 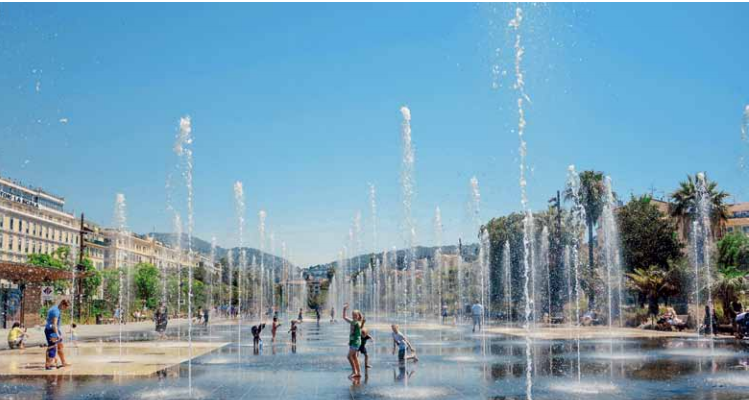 At Promenade du Paillon, your kid’s happiness gauge will jump off the scale, and even many adults can’t resist dancing in the Water mirror fountain. The best time for taking photos is just before the sun sets, when its smooth surface becomes golden. a little further along is the national Theater of nice, followed by the mamac museum, tucked into Place yves Klein. alongside the masterpieces of modern art there is an observation deck on the roof, where you can get an elevated view over the city. 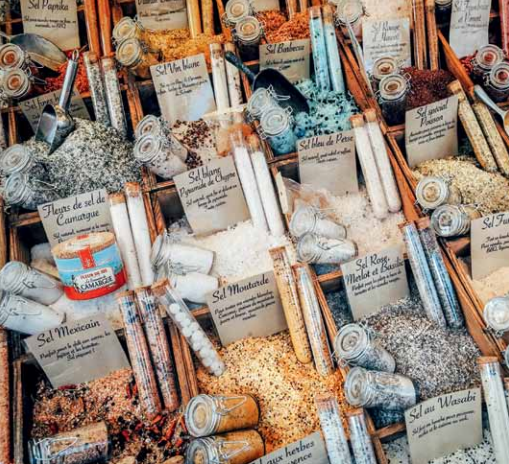 Souvenirs including herbes de Provence, Fleur de sel de camargue and lavender tea are for sale at the cours saleya market. The place transforms several times a day. in the morning they sell vegetables, flowers, olives and all kinds of goods, while in the afternoon and evening fish restaurants open up. When its time for an aperitif, a sacred time for the French, street musicians play here, and it is easy to forget about your plans and indulge in people watching. if you stay for dinner then visit le safari, that has won plaudits from the locals. The history of the le Plongeoir restaurant is impressive. 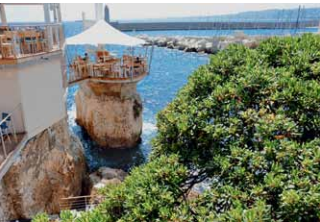 at the end of the 19th century, a fishing boat was anchored to the rock, where anyone could drink tea six meters up. Then it was converted into a jumping post. in 2015, a decision was made to revive the restaurant, and it quickly became one of nice’s most popular hangouts. you can take lunch over the sea here until the end of December. it’s better to call in advance, as everything depends on the weather. 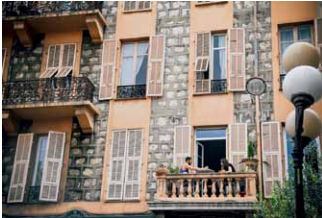 Apartments in nice should be selected with a balcony, as september is a time for dining in the fresh air. The old Town is the place to buy cheese, foie gras, olives, dried tomatoes and, of course, oven-fresh baguettes. if you get lost while selecting a wine, you can’t go wrong with the exquisite pink from château Roubine côtes-de-Provence. set the table and fill the glasses. 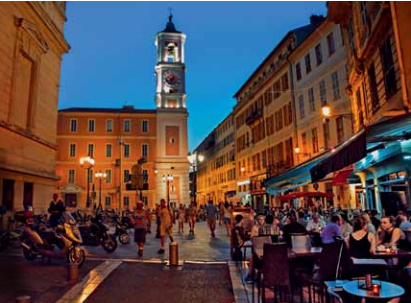 now, you are not just staying in nice – you are living here.